The Gravel Pits is a good place to spot some of the less common ducks. 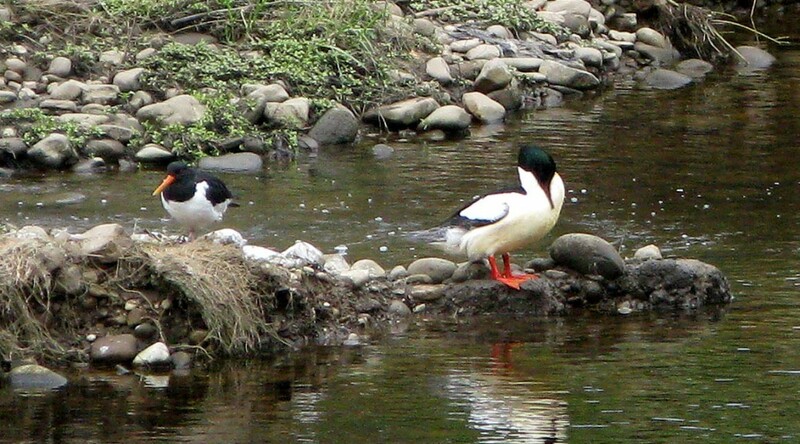 The featured image shows a male Goosander preening itself ,next to an Oyster catcher, the far side of the river. 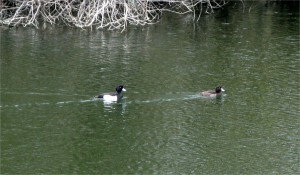 Some of the lagoons attract other species such as this pair of Tufted ducks, seen this afternoon. They are slightly smaller than than a mallard and their distinctive yellows eyes can be seen in the photo on the right. 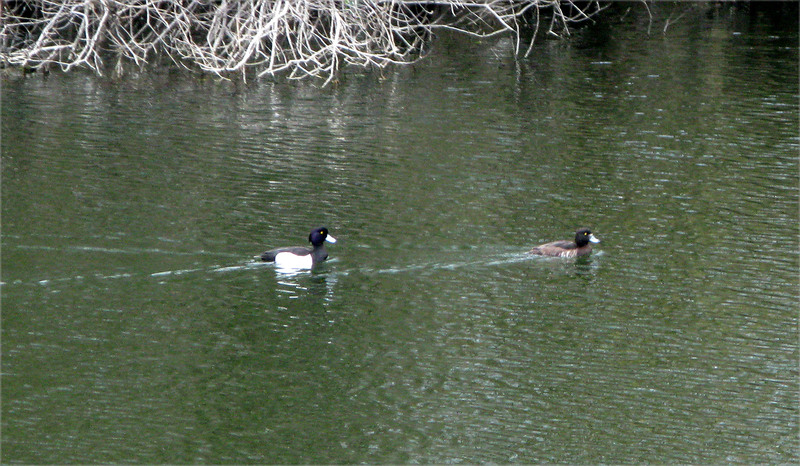 The male is all black apart from white flanks and the female is brown with paler flanks. They are thought to feed on a mixture of plant matter, molluscs and insects.